Your day-by-day itinerary now includes Rottnest Express as well as Swan River. The Bell Tower and Greek Orthodox Church of Evangelismos will appeal to history buffs. Go for a jaunt from Perth to Fremantle to see Fremantle Markets about 32 minutes away. 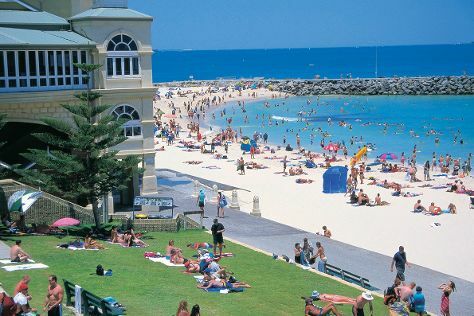 It doesn't end there: kick back and relax at Cottesloe Beach and stroll around Kings Park & Botanic Garden. For ratings, traveler tips, maps, and other tourist information, read our Perth trip itinerary maker website . If you are flying in from United Kingdom, the closest major airport is Perth International Airport. Expect a daytime high around 35°C in December, and nighttime lows around 17°C. On the 9th (Mon), wrap the sightseeing up by early afternoon so you can travel back home.